Affordable Senior portrait photography & more in the greater Seattle area. I graduated from the Art Institute of Seattle in 1991. I have been photographing people in the greater Seattle area since 1990. ​Including; Everett, Edmonds, Mukilteo, Lynnwood, Snohomish, Shoreline, Marysville, and Arlington. I first discovered my love of Photography when I was about thirteen years old, using a Kodak instamatic camera. I photographed my pets, family and friends. My interest grew with black and white film in my high school photography class. I received my first 35mm camera as a gift from my parents for my high school graduation. I loved that camera. My passion has grown and evolved over the years. Today I love photographing people, telling their story, capturing them at their best, in their environment, on location, or in the studio. My goal is to create a portrait that is one of a kind and unique for you. Seattle senior pictures and other types of photography play a big part in our lives so whether you are looking for your annual family portrait or celebrating a milestone such as high school senior portraits, belly bump, new born or anniversary. 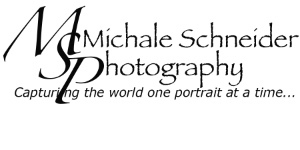 If it is important to you it is worthy of a portrait session with Michale Schneider Photography. I view your session as a collaborative effort. I strive to create the special portraits my client’s desire, to achieve the vision they have.